Morton, IL (July 12, 2010) – Small equines and fans from throughout the nation are preparing to attend one of the biggest events in their industry. This year the 122nd Shetland Pony Congress Show will be held in Ardmore, Oklahoma on August 2-6th at the Hardy Murphy Coliseum. Participants will have the opportunity to compete in classes for driving, halter, jumping, youth, and costume. Competitors will be looking to win not only National Championship titles and show off their versatile ponies to the world! The Shetland Pony Congress spectators can enjoy a diverse array of Shetland Pony classes. Admission is free to everyone at the show and spectators will have the chance to learn more about the American Shetland Ponies. “We are excited to bring the American Shetland Ponies to Ardmore. Each time we come to a new show venue we are able to share our ponies with a new local audience. 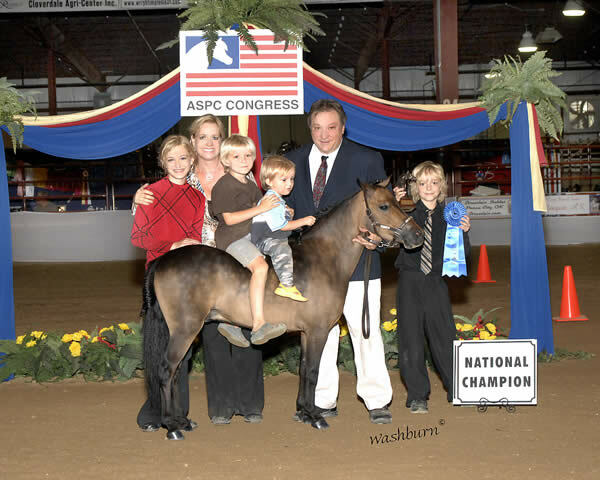 Since admission is free and classes run all day and into the evening, the Shetland Pony Congress is perfect entertainment for families, horse lovers and children of all ages,” says Johnny Robb, Director of Marketing for the American Shetland Pony Club. 17 June 2010 – Alex McLin, FEI Secretary General, marks the 100-day countdown to the Alltech FEI World Equestrian Games with a specially extended video message today, expressing his confidence that the FEI’s flagship event will be an incredible celebration of equestrian sport when it opens in the 1,200 acre Kentucky Horse Park on 25 September. 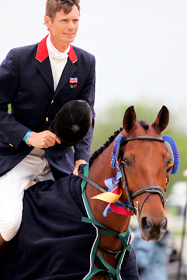 “Spectators can expect to see the best equestrian sport can offer,” Alex McLin says. “The Alltech FEI World Equestrian Games are 100 days away so we’re in the final stretches of preparation. It’s hard to believe it’s been five years since the award of the bid because everything that’s been achieved since then is absolutely incredible. 25 May 2010 – The FEI has launched its first ever official video channel on YouTube http://www.youtube.com/feichannel as part of SportAccord’s The Sports Hub. This unique internet destination and comprehensive multi-sport platform provides a single access point for a whole range of sports and multi-sport events. The Sports Hub includes a series of independently operated sub-channels categorised by sport and discipline, making it easy for sports enthusiasts to watch videos of their favorite sports and events. With its fully customised look and feel, the new FEI channel offers equestrian fans around the world the chance to view constantly updated official equestrian videos. Photo Credit: Josh Walker from useventing.com. Join in with Samantha and Glenn as they review the Dressage, Jumping and Eventing test events and the results. Interview: Oliver Townend after the fall.